Posted on Tuesday, October 2nd, 2018 at 4:14 pm. 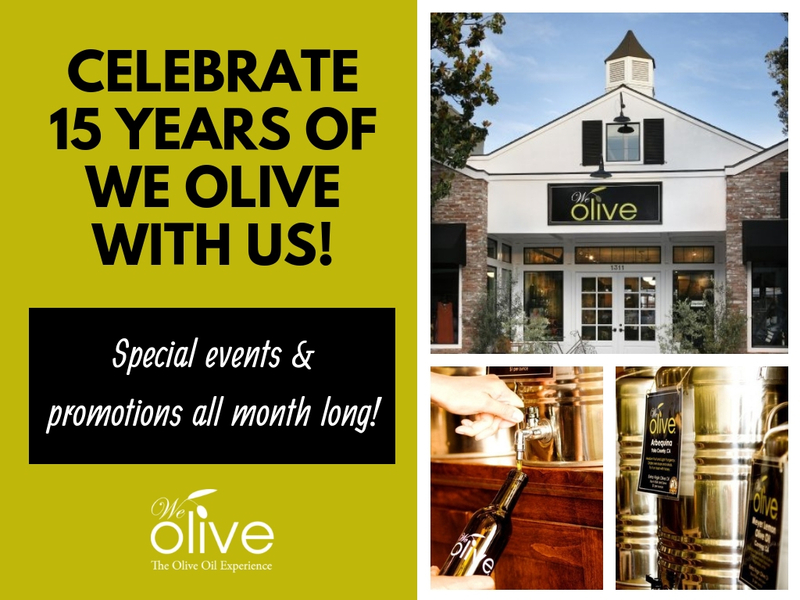 Celebrate 15 years of We Olive Paso Robles with 15% off all new bulk bottles of olive and vinegar all month long! Offer valid only at Paso Robles location, October 1 -31, 2018. Join us October 25th from 5 – 7 pm for a private customer appreciation event. Enjoy olive oil-inspired small bites, Peach Basil Mimosas and olive oil cake! 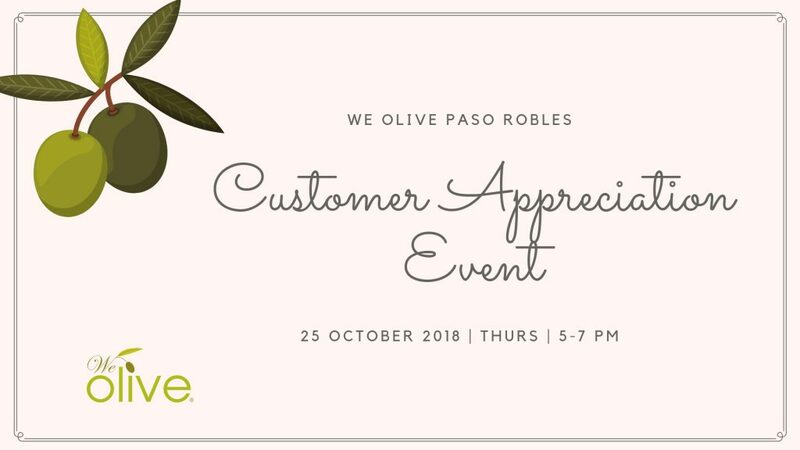 Please RSVP for this special event by calling us at (805) 239-7667 or emailing us jholmes@weolive.com. Guests will enjoy 15% off all items in the store during the event. Join us each weekend in October for grower and culinary demonstrations!